A year and a half ago I brewed a batch of Foreign Export Stout, sadly before I had a chance to sample it the gnarliest microbial invasion I've ever witnessed took over (bottles started exploding just two weeks after bottling, spraying diaper smelling liquid all over my bedroom early on a Monday morning). The recipe wasn't designed to be sweet like a “tropical” Foreign Export Stout (Jamaican Guinness Foreign Export Stout, Lion Stout, Dragon Stout) more in line with something like Freeminer Deep Shaft Stout (and hopefully Pelican Tsumami Stout which I cribbed the malt selection from). Speaking of which, I'm hoping to get a chance to finally try some Pelican beers while I am out in Portland in a couple months, maybe even make it out to the brewpub. I've been meaning to re-brew the recipe ever since, but I always seem to have enough dark beers around that I haven't made time for it. Luckily I was chatting with Jeff and Tom from the Lug Wrench Brewing Company blog, who offered to brew the recipe and send a couple bottles my way. Here is their take on our collaboration and their brew session. Despite being a "blogger" I rarely do these sorts of inter-blog interactions, for the most part I use this blog as an outlet for my activities offline rather than online. The great thing about this is that we are actually doing something, not just talking about it. It's also nice to see another homebrewing blog doing some very interesting stuff (like the nerdy charts that I really enjoyed). I'm really looking forward to opening a bottle of the Bourbon Oak Aged Old Ale they sent as well. As a thank you I just sent them a six-pack of my homebrew, hopefully they'll enjoy the beers I send as much as I enjoyed getting to try my beer the way it should have been. Appearance – Impenetrably dark, with a nice foamy tan head sitting on top. Good retention (in part thanks to the flaked barley) and a bit of lacing. Smell – Big dark roasty nose with a pleasant creamy coffee component. There is a slightly sharp phenolic edge to it that is probably just an artifact of how young this beer still is. It has a fresh grainy character as well, a bit like sticking your nose into a bag of roasted barley. Taste – The nose holds true with lots of complex roasted flavors, bitter chocolate, espresso, chicory etc... There is a nice lingering bitterness that reinforces that impression. There is some sweetness, but it is balanced towards the bitter overall. It tastes like an imperial Irish dry stout more than anything else. Just a touch of yeasty fruit in the finish, well fermented with only a mild hint at its alcohol strength even at cellar temp. Mouthfeel – Velvety smooth, great moderate-low carbonation. Excellent mouthfeel, perfect for a slow sipper. 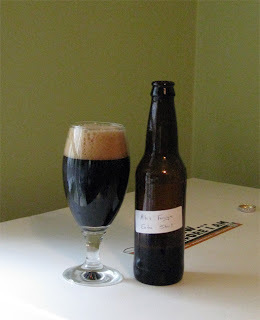 Drinkability & Notes – A serious stout, with a big roast character. I'm happy that even with someone else brewing the beer ended up pretty close to where I was aiming. It doesn't have the thickness or fruit complexity of a Russian Imperial Stout, but it is closer to that in terms of roasted character and complex than it is to most other stout styles. Ireland is synonymous with Guinness, and many visitors to the country visit Dublin. MIke, when you get out to Portland you'd better look me up! It's a vacation with Audrey, but I'm sure I/we will have time to meet up with you guys for a beer/homebrew one of the nights. I'm also happy to hear any tips (beer or otherwise) anyone has. 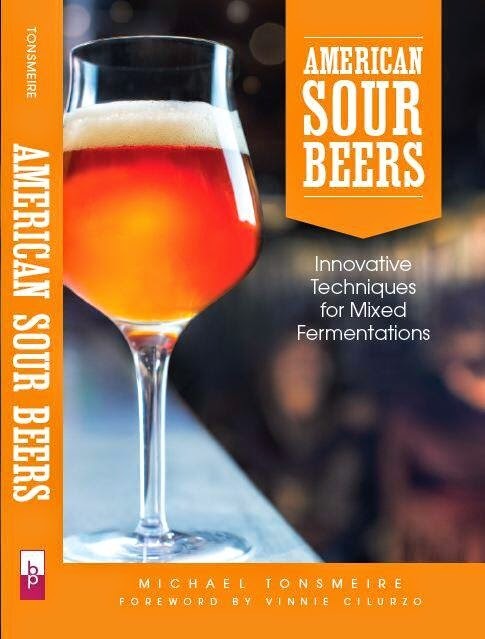 I guess you must be doing something right if you have fellow homebrewers using your recipes and sending you back beer to taste... Congratultations.